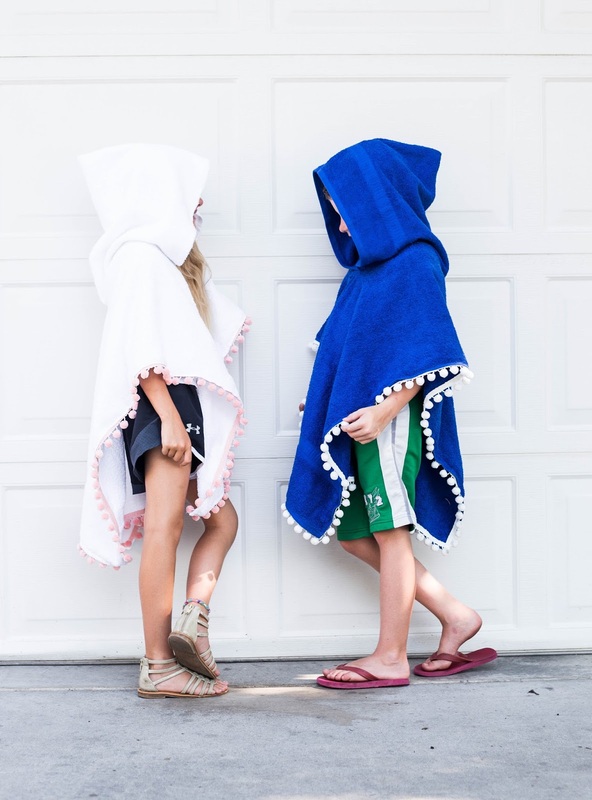 This is the best hooded poncho towel for kids at the pool or beach! 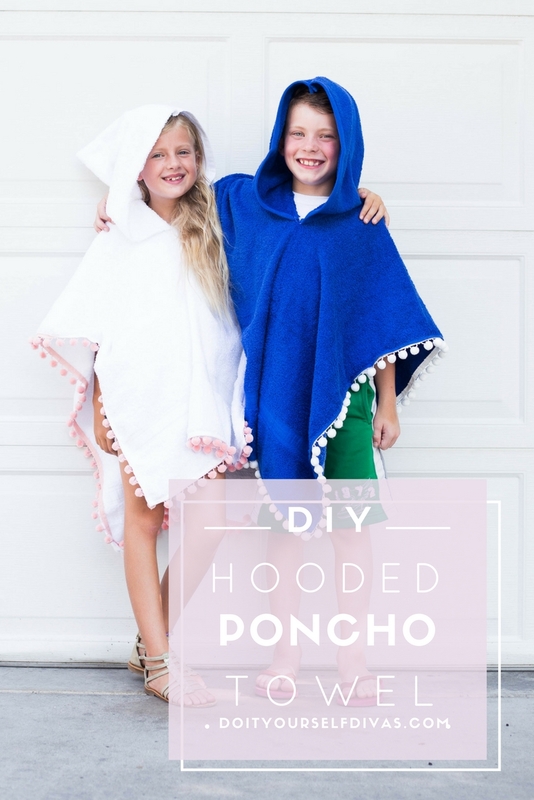 It stays on, acts as a coverup, has a hood, lays out flat, keeps kids warm, frees up your hands, it's inexpensive to make, easy to sew, and can be made in 15 minutes! Sew on some cute pom poms or tassels for added style. 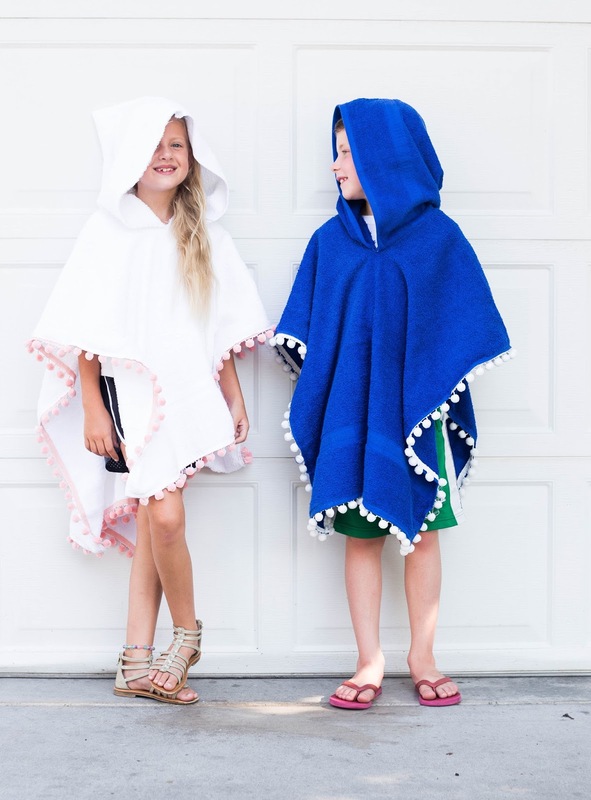 Customize your very own coverup / poncho towel for a day at the beach. 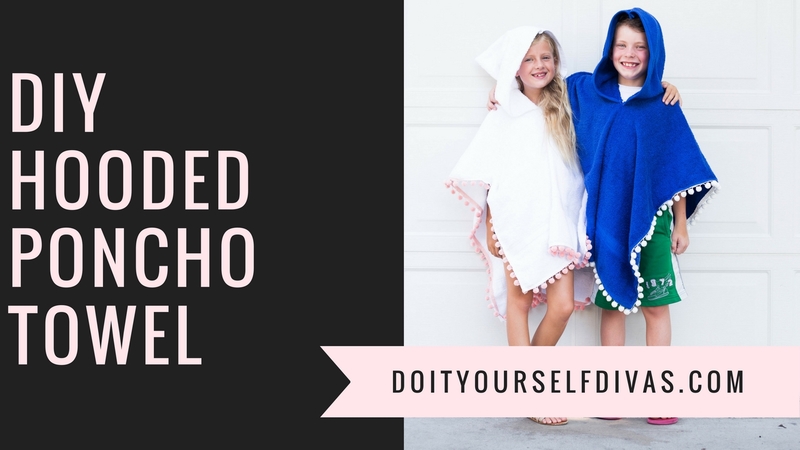 This poncho towel is the perfect size for kids but it also works great for toddlers, teens, and even adults.